Here at London Holistic Dental Centre we see a wide variety of patients of all ages and from all backgrounds. Many of our patients have one or more amalgam fillings that have been in their mouth for several years. These vary enormously in size and while they effectively replace the portion of the tooth lost to decay or trauma they add no strength to the damaged tooth, the remaining tooth structure must support itself. 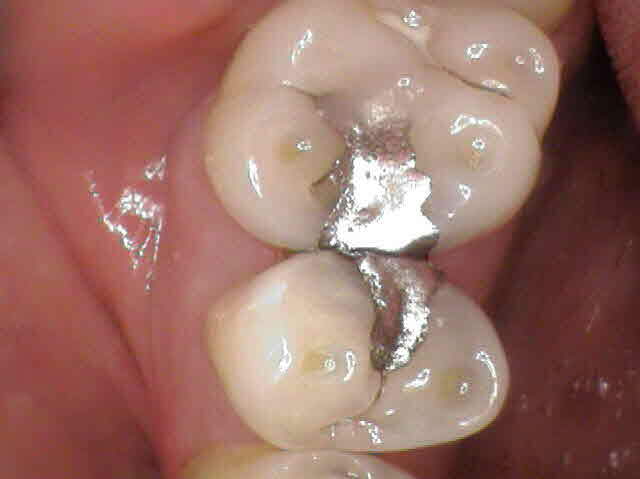 We are frequently asked whether these silver-coloured fillings are safe due to the mercury content, and if an amalgam filling can or should be replaced. We have listed here some reasons why you could consider replacing amalgam fillings. Many people have concerns about the mercury contained within amalgam fillings and would prefer to have this removed entirely. Mercury makes amalgam soft and pliable so that it can be placed within a tooth. Mercury is a natural occurring metal but is categorized as extremely toxic with known health effects from exposure to high amounts including auto immune, kidney and neurological – The Mad Hatter of “Alice” fame was mad because of the mercury used in hat manufacture! Low-levels are reported to have no negative health effects but mercury can also build up in body tissue from other sources such as diet and pollution. Once placed in the tooth amalgam fillings harden quickly, becoming solid to withstand biting and chewing. The vast majority of the mercury in set amalgam is bound and pretty stable so ongoing exposure is to mercury is small but continuous. Changing an amalgam filling has the potential to greatly increase this mercury exposure, however a good dental practitioner will take careful steps to ensure that when a filling is removed there is no danger of mercury exposure for the patient. If you take a look at our case study video (see below), David Cook our Principal Dentist talks through some of these precautions as he works with his patient Simone. For many people, having a great smile is really important. Whether this is for a special occasion such as a wedding or holiday or just for day-to-day confidence and peace of mind a mouth full of white teeth is something that many of us strive for. Replacing silver fillings with white ones can get rid of those unwanted dark patches in the mouth meaning that when we smile or open the mouth it appears clean, fresh and healthy! 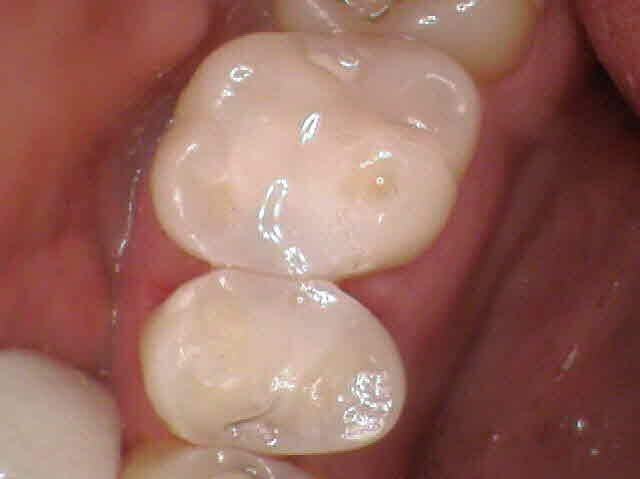 Decay can very often set in underneath an amalgam filling. In this case it is recommended to seek advice from your dentist as to the best approach and whether the filling should be removed and then replaced. Amalgam fillings are pretty tough, however our teeth do a lot of work and as mentioned previously amalgam adds no strength to a tooth and the tooth itself becomes more likely to break as fillings age. The average lifespan of an amalgam filling is around 12 years however the tooth itself can start to crack and weaken long before the filling fails. Regular dental check-ups will monitor the health of your teeth and fillings but if you are aware that a filling is more than 10 years old, it is certainly worth a visit to your dentist to see whether it needs replacing. If your filling wears down, breaks or fractures, then the time is right to replace it. If you have toothache, even if only very mild, then this is usually an indication that something is wrong. Always speak to your dentist at the first sign of tooth pain so that a simple filling or replacement filling doesn’t turn into a more complex or in-depth procedure such as a root canal treatment or even an extraction! If any of these reasons resonate with you and you are considering replacing one or more amalgam fillings then please contact our reception to book in an appointment. As a holistic dental practice we take a good look at your mouth and jaw, provide a full assessment and then recommend a course of treatment. Why not also take a look at our video case study to see exactly what happens during an amalgam replacement procedure. Call us now on 020 7487 5221 or email info@londonholisticdental.com for more information or to book an appointment with David.